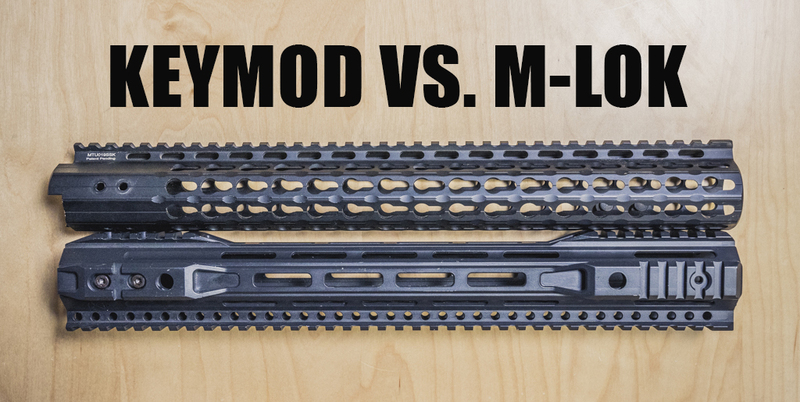 KeyMod vs. M-LOK - What's the Difference & What's Better? For years, the Picatinny rail was the leader in attaching lights, lasers, foregrips, and other accessories, but it had drawbacks. 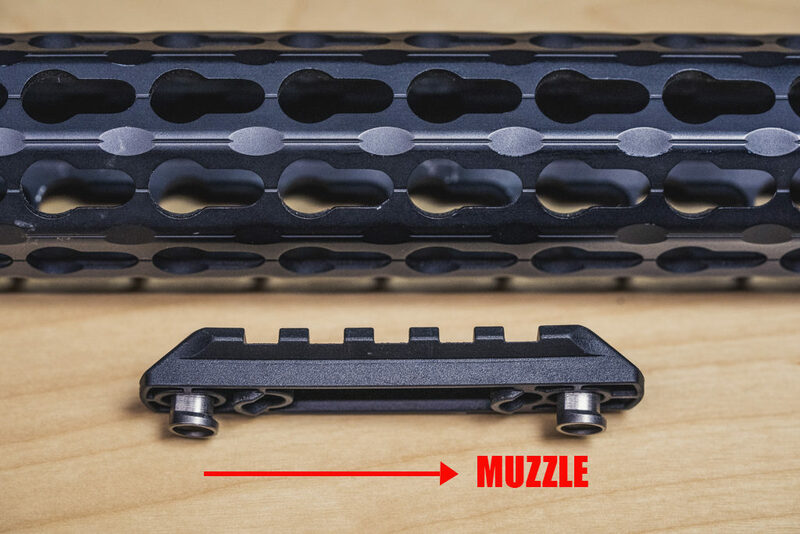 Adding a Picatinny rail onto a rifle’s handguard or fore-end adds extra weight, and some shooters complain about the extra bulk and “cheese grate” feeling it has on the hand. And although both the Picatinny and Weaver rail systems work great for mounting scopes, their shortcomings in accessory attachments left a lane open for improvement. 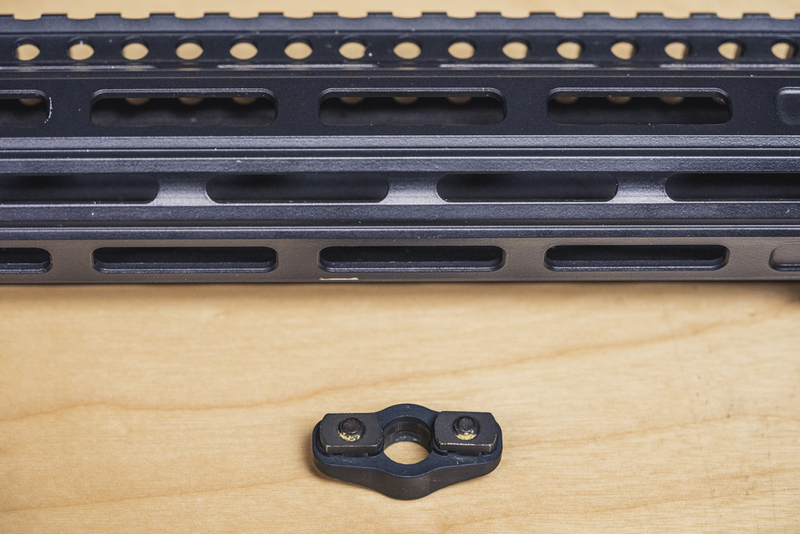 These shortfalls brought the next generation of accessory mounting: KeyMod and M-LOK. 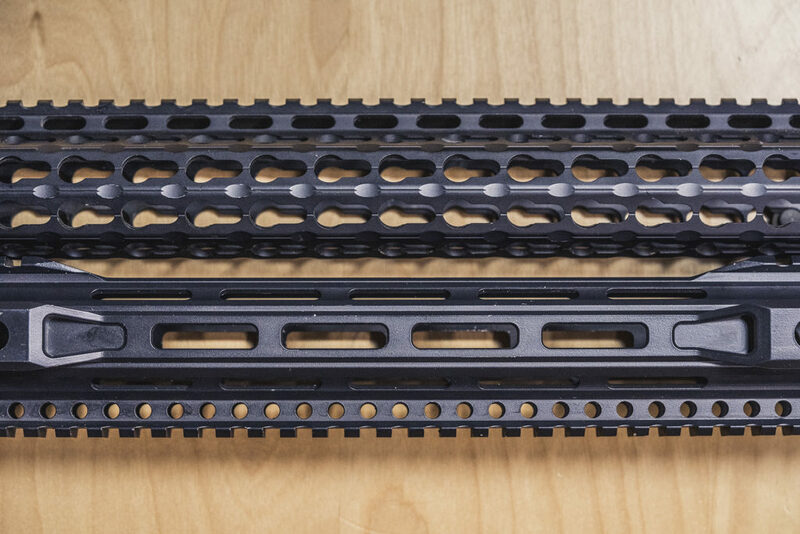 The KeyMod and M-LOK are based on a slot system rather than the rail system of the Picatinny and Weaver mounts. This means a smoother surface and more mounting options. Both gained popularity since their introduction to the market in the 2010’s — but which system is better? Keep reading to learn a little about the KeyMod vs. M-LOK systems, including how to mount accessories. Want to skip to which system is better for your needs? Click here. The KeyMod handguard was developed as a collaboration between VLTOR Weapon Systems and Noveske Rifleworks. They released the KeyMod system to the public in 2012 in hopes of standardizing universal attachment systems. 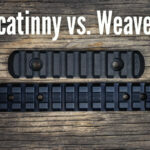 It is an open-source design, meaning the design can be used freely by any company to make rails or accessories. 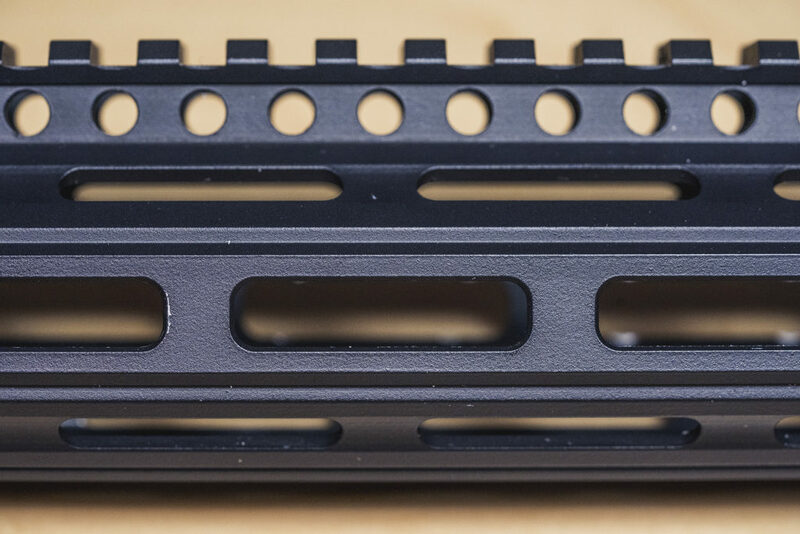 Instead of having a hand guard with a picatinny rail attached, the KeyMod was designed so that accessories could be mounted directly onto the rail. This also allows for picatinny rails to be mounted onto the handguard wherever needed. The KeyMod is a modular system with the mounting slots having a key-hole profile. It is composed of two parts, the KeyMod slot and the KeyMod nut. Orient the KeyMod nut the correct way. The backer nut, which is the piece that actually goes into the KeyMod slot, protrudes on one side only at the bottom. This protrusion should face in the same direction as the muzzle of the gun. Many accessories will have an arrow to remind you of the correct orientation. Place the backer nut of the accessory in the larger hole of the KeyMod slot, then slide it forward into the narrow section of the slot. Screw in the accessory to give tension to hold it in place. 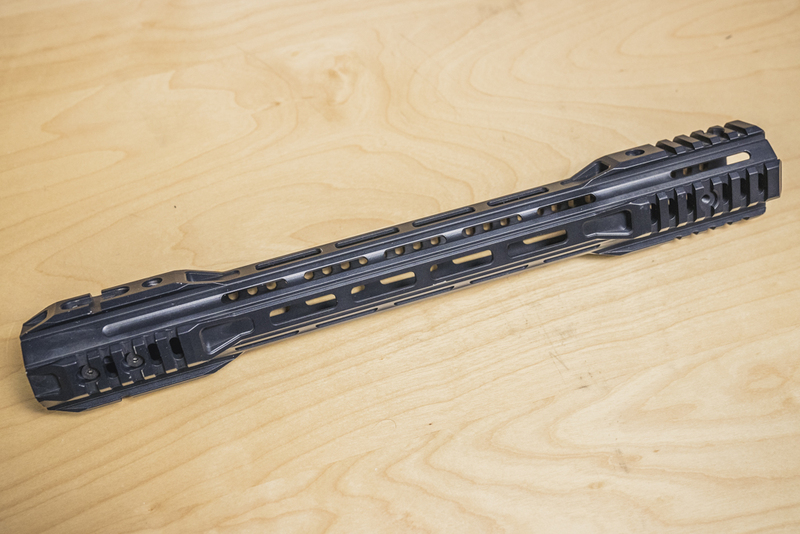 The Modular Lock, or M-LOK was patented by Magpul Industries and introduced to the market in 2014. Just like the KeyMod, the M-LOK allows for direct accessory attachment. Magpul sought a design that worked better with non-metal mount surfaces. The polymer accessories Magpul offered didn’t work well with the KeyMod’s conical nut. So, they created the M-LOK system. Unlike the KeyMod, the M-LOK is not open-sourced, but rather free licensed. This means that manufacturers can only make products using the M-LOK standard after acquiring a license from Magpul. The M-LOK is similar to the KeyMod system in that both involve locking a nut into a slot on the rail. 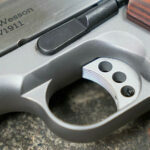 The M-LOK system uses a rectangular T-Nut and a rectangular slot. Orient the T-Nuts so that they will sit in the M-LOK slots. The accessory is correctly seated in the slot if the bottom of the accessory is flush with the mounting surface. Use a hex wrench to rotate the T-Nut 90 degrees into the locked position. 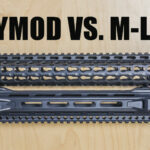 KeyMod vs. M-LOK – Which is Better? In 2016, the United States Special Operations Command (USSOCOM) put the two to the test to see how they stacked up against each other. The purpose of the testing was to compare which system was superior in regard to repeatability, endurance, rough handling, drop testing, and failure load. In the Endurance and Rough Handling tests, both systems passed. The most significant variation was in the Repeatability test. M-LOK came out on top with the least amount of MOA shift when removing, then reattaching, an accessory rail with a laser sight. 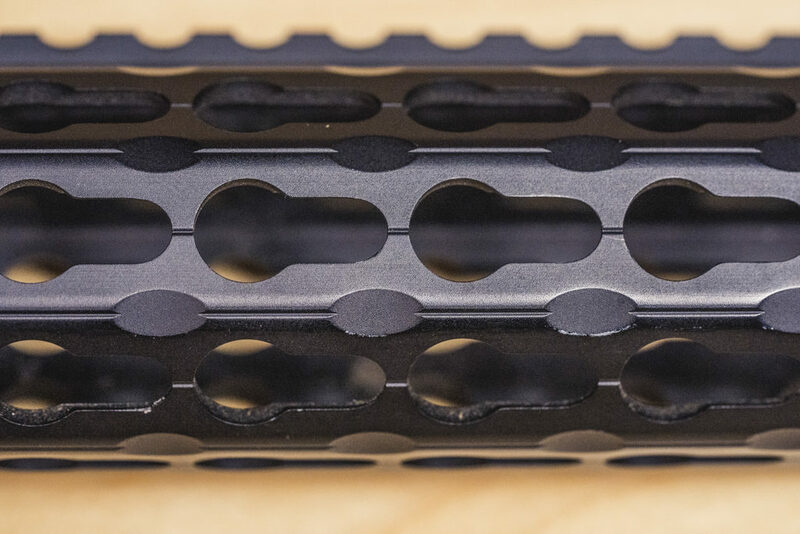 They found that in a drop test, M-LOK accessories remained attached 100% of the time, while KeyMod accessories remained attached only 33% of the time. From this testing, the M-LOK was selected for use on the Suppressed Upper Receiver Group and Advanced Sniper Rifle programs. 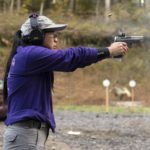 While this testing did not fare so well for KeyMod, that does not necessarily mean that it isn’t a feasible option for applications outside of military use. 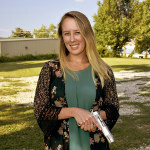 Both mounting systems are readily available, though M-LOK is arguably more popular. Both designs are functional, but for one reason or another, people are often to draw to one over the other. Whether you choose KeyMod or M-LOK, you’ll have a convenient way to mount accessories directly to your handguard.